Apartment in Puerto Madero, Buenos Aires - Marina Loft ! 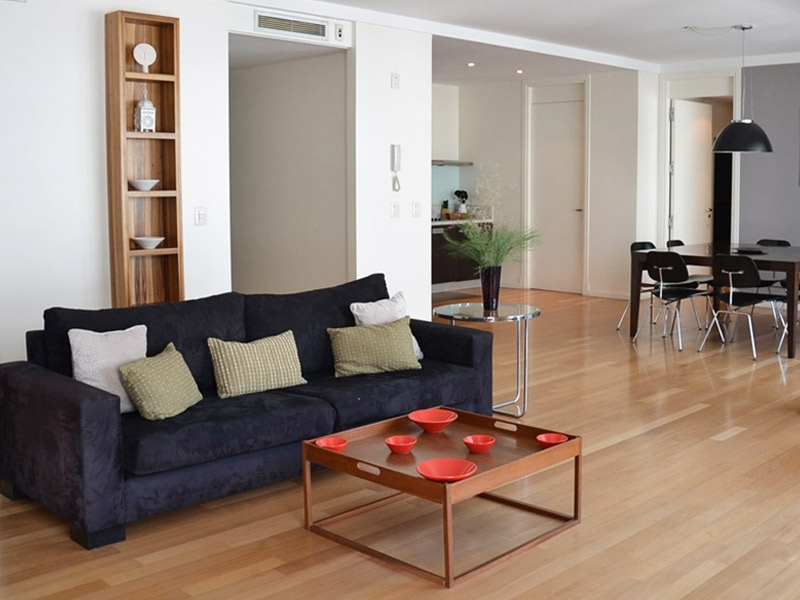 Contemporary 970 square feet apartment in Puerto Madero, with impressive facilities and close to great bars, restaurants and ecological reserve. This spacious one bedroom luxury apartment for rent in Buenos Aires is located in this newly built and stylish building, right on Puerto Madero’s quayside. Puerto Madero affords a different experience to the city’s other neighborhoods, in its own way unique, think London’s Docklands or Darling Harbour Sydney, but with Buenos Aires proper only a stone’s throw away. The open plan kitchen, with its modern feel comes fully equipped with everything you might need for either a short or long term stay. 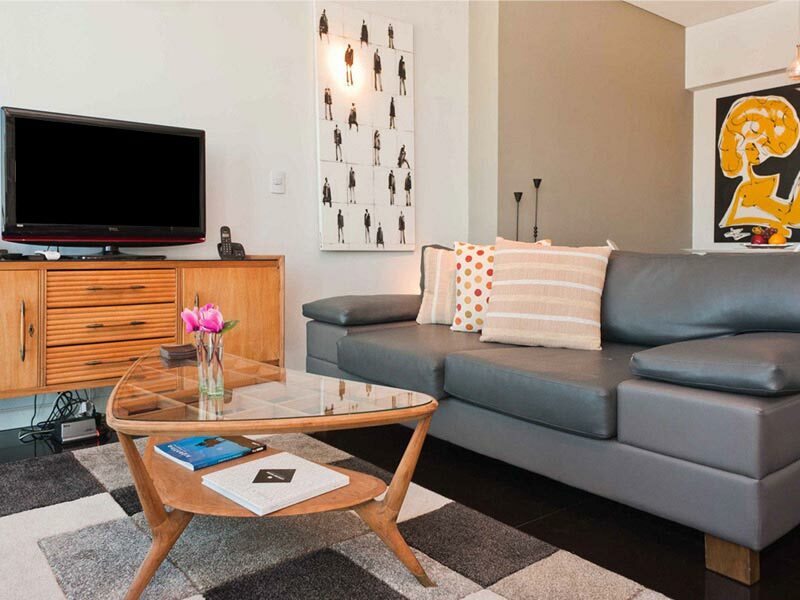 The living area features a 32’’ screen Cable TV and super fast broadband. A comfortable seating and dining area compliments this living space and provides access to the balcony. The large glazed windows make this a light filled room from dawn to dusk. Contemporary furniture and furnishings make this your home from home. The master bedroom has a queen size bed, walk-in closet and ensuite bathroom.